Oscar Blandi haircare, Miss Dior Cherie perfume, and some Dior skincare. 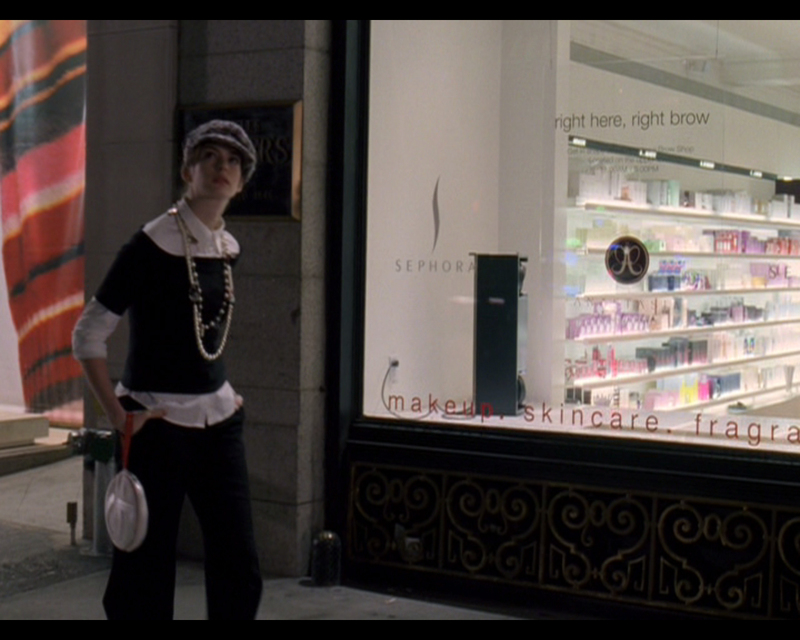 The film tries to show that our heroine, Andy, is down-to-earth and "not in to beauty" by contrasting the above two lipstick images to her grabbing a tube of Chapstick. 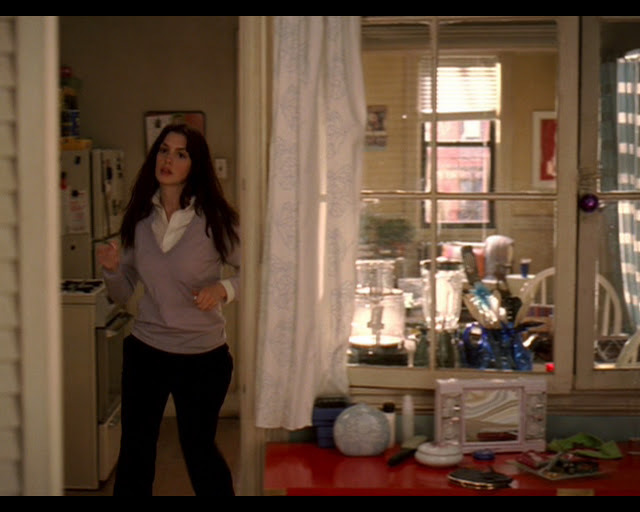 But we can definitely see a vanity mirror and a few products on a tray in front of it. Unfortunately, it's too blurry and far away for us to figure out the individual items on the tray. ...some Clinique products, and Mason Pearson hair brushes. 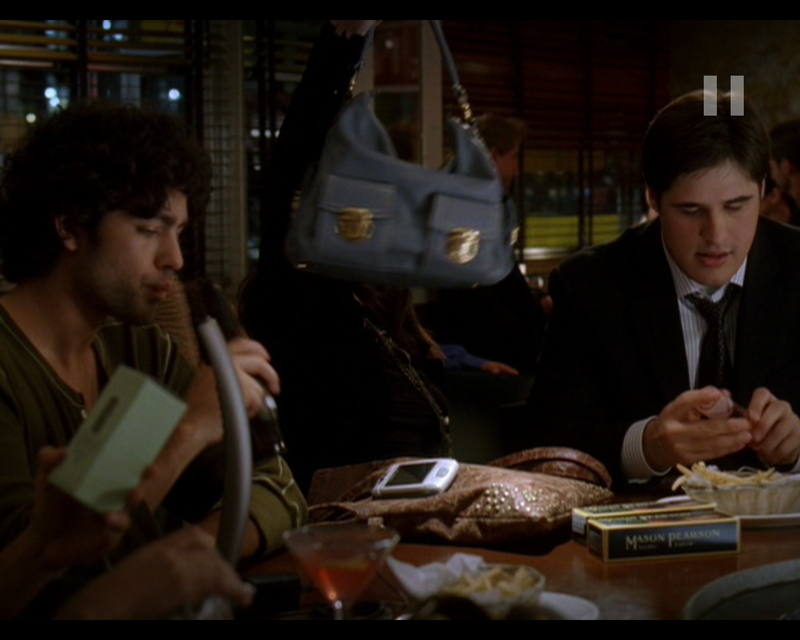 Sephora makes a cameo appearance! 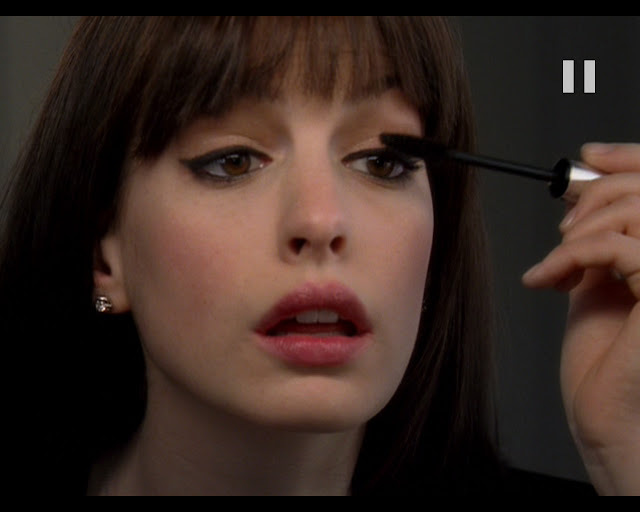 And that's it for The Devil Wears Prada! Let me know if you recognize any of the products. In other news, I'll be away for the next few weeks--I'll see you in January! 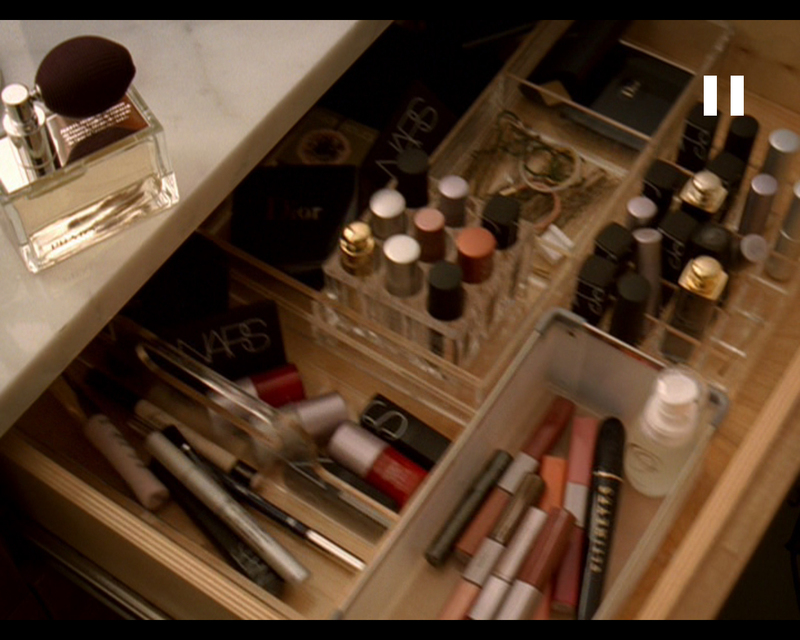 I see a Prada perfume sitting on the desk in the makeup drawer shot. This post makes me so nostalgic! I use to love watching this movie... now the dvd is buried somewhere in the garage. Might be interesting to rewatch and see all these brands they're using. Lovely post! I actually just remembered to do it because of the Shu Uemura eyelash curler scene! Let me know if you spot anything. I think the mascara with the silver lid is Diorshow. The bristle size and thickness seems to match. Thank you, I'll add it in!